Tired of leaving behind some of your important personal items when riding? Well you are in luck. 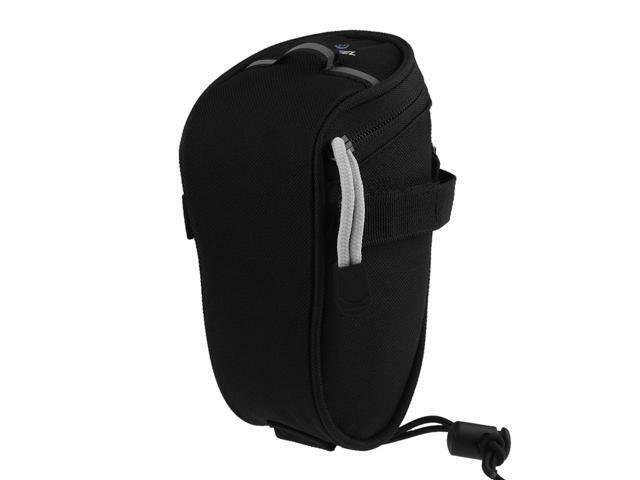 With this new Under the Seat Bike Bag your items are not only secured but protected. High Quality waterproof polyester fabric protects items from all-weather types. Easy to install, simply attach to bottom of seat and secure with strap. Suitable for all types of saddles. Specially designed feature enables rider to attach a small lamp to secured mounting loop on top of bag to add extra safety and security along late night rides. Comes in your choice of 3 different sporty colors. The perfect accessory for the everyday cyclist. This item is covered by Sale Breaker Return Policy.